iFixit has been busy once again with their screwdrivers and have this week turned to the Vizio Co-Star, revealing its inner workings to the world. The Vizio Co-Star has been created to provide users with a live TV and streaming entertainment in one solution. The Vixio Co-Star provides Google TV technology with access to browse the web, and OnLive gaming to name just a few of its features, as well as being the ability to be used either on its own, or as an overlay for existing cable or satellite TV services, all for $100. To recap the Vizio Co-Star is equipped with a Marvell Armada 1500 1.2 GHz Dual-Core processor supported by 1GB RAM and includes 4GB of internal storage. The Vizio Co-Star is roughly the same size as Apple’s TV box or Roku’s solution, and includes a remote which is equipped with a trackpad and buttons on one side, with one-click access to Netflix, Amazon and M-Go to name just a few. After the teardown was complete iFixit gave the new Vizio Co-Star Google TV box an impressive 8 out of 10 for repairability. 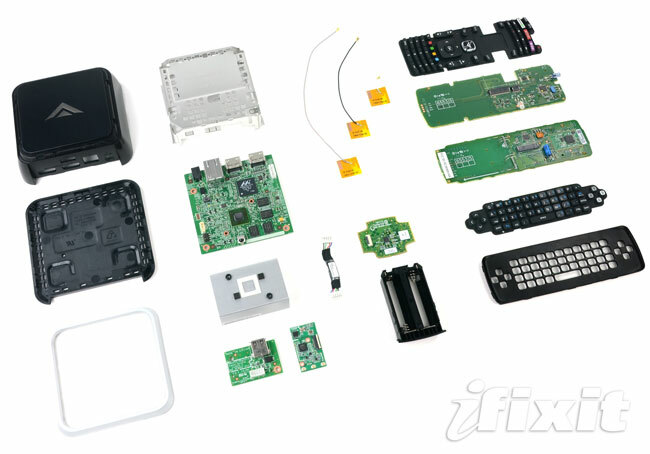 You can view a complete walkthrough of the Vizio Co-Star teardown over on the iFixit website.